About I Will Survive, Inc. and Anisa Palmer – I Will Survive, Inc.
Heart News For February…Some things We Love, Like YOU! On behalf of I Will Survive, Inc., I am Anisa Palmer, Founder and Executive Director of this nonprofit organization based in Atlanta, Georgia. I also love to write. I began writing poetry before I knew my times tables. Writing helped me express myself after I lost my mother to breast cancer. 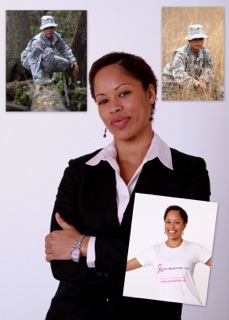 The reason for starting this non profit organization, I Will Survive, Inc. is to increase breast cancer awareness through education and provide funding in lower income communities. I am from the Virgin Islands and enjoy traveling, reading, advocating for health, living, laughing, learning and adventure. I hope that you enjoy the blog. It is for your pre-survivor, survivor, and post survivor. That includes everyone. Enjoy and keep on Surviving!